Our online magazine provides information about what’s playing in the performing arts across New York State and New York City. Our Mission: NY Theatre Guide’s mission is to provide reviews and articles that are fair and honest, thorough, and family friendly. 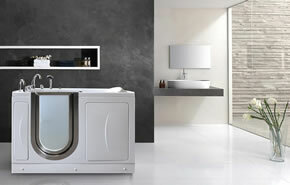 Special Features: Through the online magazine, readers gain free access to the following information and special features. Top Five Shows of the Week: A weekly Column discussing New York’s top five must-see shows for the week. Events Calendar: A run-down of the performing arts shows throughout the month and year. You may also find audition notices on the calendar. What’s Playing: Located on our right-hand sidebar, the What’s Playing section highlight’s selected productions that are coming soon or currently playing. 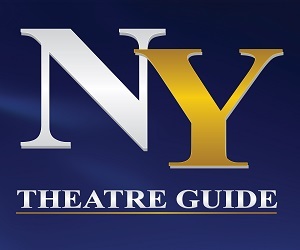 Theatre Guide: An in-depth theatre guide section that lists each theatre according to the area and provides direct access to more information via their website. Half-Price Tickets: Limited availability of half-price tickets for theatre performances throughout New York. Reader’s Choice Awards: Designed to honor local performing arts, entertainment and educational organizations for their creativity, talents and contributions throughout New York, the Reader’s Choice Awards are a staple for the NY Theatre Guide. We are a team of dedicated writers and editors who seek to bring attention to what’s playing across Pennsylvania. Our backgrounds include experience in the performing arts, writing, editing, as well as a love and appreciation of live theatre, music, and dance. Mark Beachy is the founder and publisher of the MD Theatre Guide, NY Theatre Guide, and PA Theatre Guide. Before starting the Theatre Guide’s, Beachy was a theatre professional. On stage, film, and TV, he enjoyed a career in acting, singing, dancing, violin, figure skating, and even magic. Behind the scenes, Beachy has been a producer, director, choreographer, and an award-winning playwright/composer of seven musicals. His true passion lies with the performing arts, no matter what role he may play on and off the stage. Through the PA Theatre Guide, he brings awareness to the areas up-in-coming performing arts productions. Previous NY State Police Don’t Know The Law!